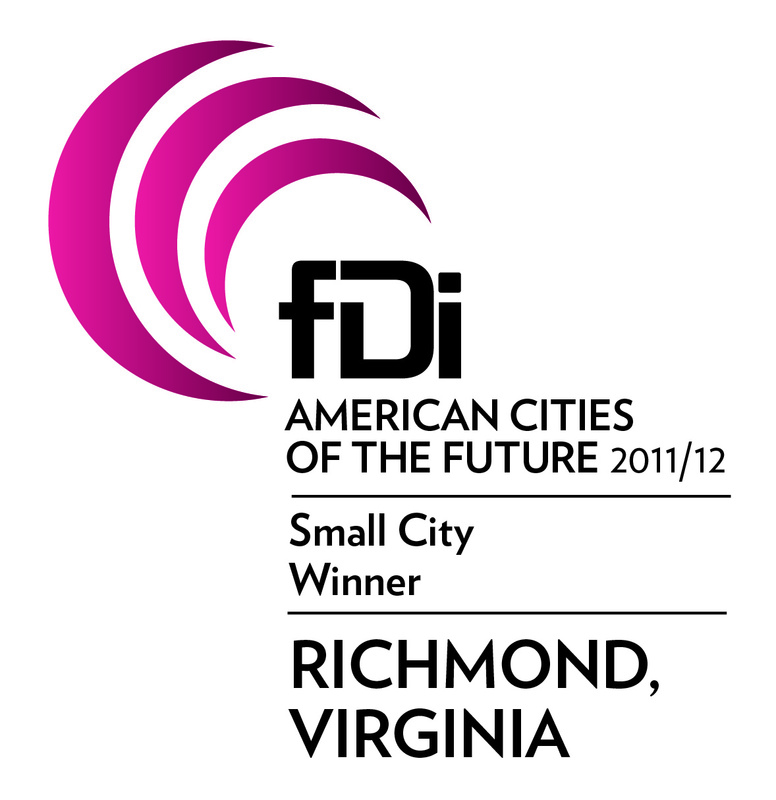 Mayor Dwight C. Jones today accepted the Foreign Direct Investment (fDi) magazine Best Small American City of the Future award for the city of Richmond, during the fDi American Cities of the Future 2011/12 awards ceremony in Washington, DC. 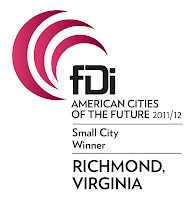 Joining the Mayor in accepting the award was city’s Deputy Chief Administrative Officer of Economic and Community Development Peter Chapman, city’s Director of Economic and Community Development Lee Downey and the President and CEO of the Greater Richmond Chamber of Commerce Kim Scheeler. “It also bears emphasis that our urban character contributes to our economic growth: we have livable, walkable neighborhoods that help attract and retain an eclectic, educated and diverse workforce. Our plan for success includes partnering with our nationally renowned universities, developing innovative business programs that enhance our competitive position, investing in infrastructure to support initiatives including a multi-modal transportation plan, and making strategic investments to develop tomorrow’s workforce,” said Mayor Jones. 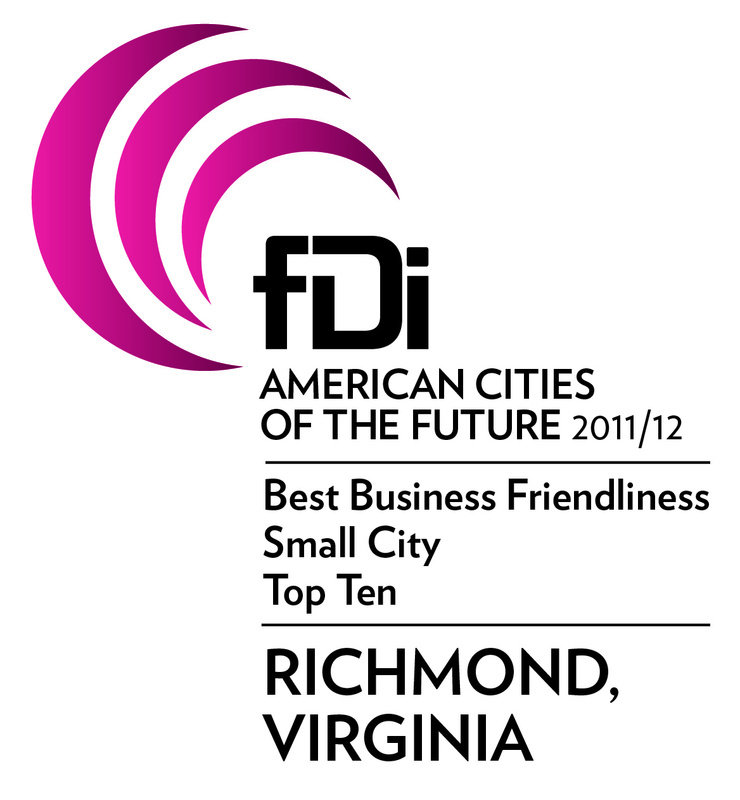 This is the first time the city of Richmond has received this award distinction. 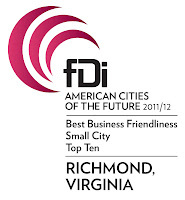 The city also ranked third for Top Small Cities fDi Strategy and fifth overall for Small Cities Business Friendliness. According to the judging panel, the city of Richmond and Huntsville (Alabama) had the best fDi strategy among small cities. The rankings are based on each city’s population range, with small cities being in between 100,000 and 250,000 residents.